Our neighbors to the north have yet again proven that they have a wonderfully vast music scene full of great musicians. This week we’re covering a Vancouver based band that has its roots set in folk. And if folk isn’t your thing, they might change your mind after a listen. 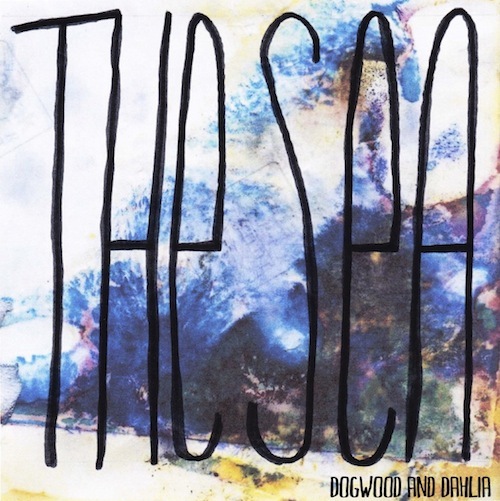 Dogwood and Dahlia bring a bright and downright cheery twist to the genre. Songs like The Sea and Lancaster Bomber are proof of that, while Wild Oats and Arson slow things down and show they are quite capable of range. The EP is a solid offering and we can’t wait to hear more. Dogwood and Dahlia: Andy, our drummer, isn’t here to answer this with us, but let’s keep in mind that he always agrees with what we say. All of the time. What a good drummer we have. TheKnifeFight: How did the band come together? Neil: We met at summer camp. Syd: Yeah, we met at camp. Neil had a shaved head. Syd: I never shower, Neil. You know that. Anyway, a few months later we were both accepted into the East Vancouver Cultural Centre’s youth songwriting mentorship, and we figured it made sense to play together. Neil: Then we started playing with Andy, our drummer, and 10 months later, here we are! Syd: Whenever we play “Whoso List” I get to do a war-cry toward the end. I love that war-cry. Otherwise, anything where I get to pretend I’m a hillbilly. Neil: Whiskey Hearts, since I say “spittin’ blood and spittin’ rhymes” in the third verse and I feel like Biggie would approve. TKF: Which mediocre superpower would you rather have? The ability to communicate only with your pet but they only speak in a language you don’t currently know (Spanish, German, Japanese) so you have to translate it every time. Or the ability to fly but you can only hover 1 foot off the ground? Syd: I would communicate with my dog, Poppy. She looks like a gremlin and my mom is convinced that if she spoke, she would speak quick, raspy spanish. It would either make me want to snuggle her more or creep me out more than she already does. But that’s okay with me. Neil: I pick the hovering, I could be a superhero that would help people grab things off of high shelves. TKF: Are there any other artists/musicians that inspire you? Neil: Josh Ritter. He’s the king of allusions, the dopest of all poetic devices. We met him at the Vancouver Folk Music Festival this summer, and he is the nicest man in the world. Syd: I’m stupidly in love with Frazey Ford. I wake up every morning wishing I was Scott Avett, and I’ve listened to Andy Shauf on repeat for the past two years. Josh Ritter, too. I would say he’s probably the epitome of modern American folk. D&D: We just released an EP called The Sea, so we’re just playing a lot of shows in support of that and are stoked to go new places and meet new friends. We want to see more of our country, especially. Oh, the places we’ll go!